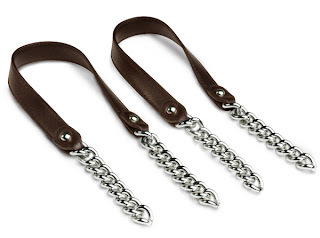 Miche Brown Chain Handles and faux leather. Add a touch of class to your Miche Bag! Length: 23.5" Width: 1" Handle drop: 11".